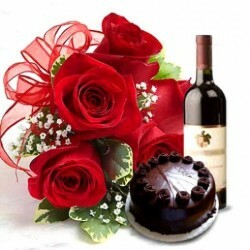 To get a perfect blend of wine with flowers and cakes, select from our widest selection of great wine and food combos. 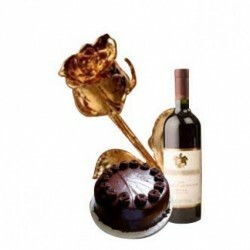 Choose the perfect combo of wine with flowers, cakes and chocolates and get the perfect match for clients, friends, family or someone you wish to surprise. 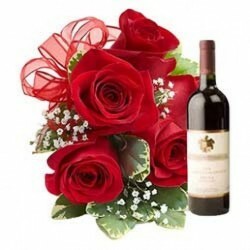 Wine is the most preferred beverage and an exemplary treat to gift someone you wish to greet and congratulate them on their birthday, wedding anniversary, or any special occasion such as Valentine's Day, Congratulations, New Year, to name a few. 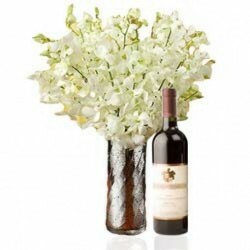 Check out our wine gifting ideas for best deals and offers in wine gifts and combos. 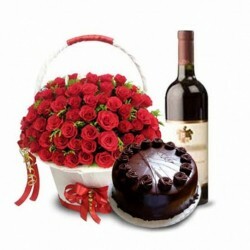 Our wine combos rightly blend with the sweetness of chocolates and freshness of flowers. 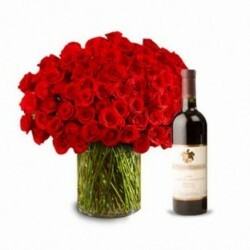 MyFlowerTree aims to help you make your friends and family every occasion and celebration joyous and memorable by providing peerless delivery mechanism to send stunning, thoughtful gifts online to them which is right on time. 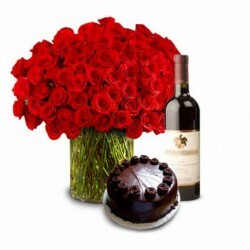 Deliver Cake & Wine Delivery, Champagne With Flowers & Cake, Champagne With Flowers & Chocolates, Wine With Flower N Teddy, and other amazing wine and champagne gifts and combos in the most pristine conditions with our hassle-free wine combo delivery services across India. 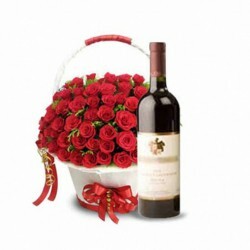 Be it Bangalore, Delhi, Mumbai, Pune, Gurgaon, or any other city, our delivery expertise lies in getting your orders delivered in the best possible time without compromising on the quality of the gifts. 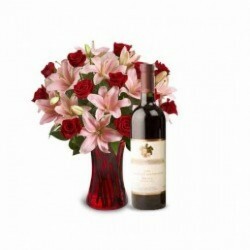 Flowers form a lovely combo when you pair it with a chilling bottle of wine and an ideal option to go for when you wish to convey emotions of love and gratitude. 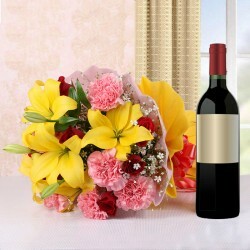 Greet your special ones with an exquisite bottle of wine and a beautiful bunch of fresh flowers with flowers with wine combos. 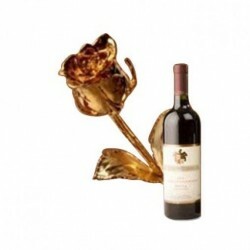 We have gifts for every occasion, whether you are looking to gift someone on their birthday, anniversary, or wish to shop wine for anniversary gift, we do it all! To shop for an exquisite range of wine and wine combos, we have our service specialists aligned to you at every step to help and take care of all your orders with great efficacy and attention. Just as with any food pairing is concerned, it becomes imperative for us to think of the flavours that best complement each other and curates our products that optimally match your requisite needs. Creating a perfect combination is not a cakewalk, but we try our best to make you shop from a gamut of wine combo options and let you pick the one which will impress your special ones to the core. Make a perfect first impression on your colleagues, mentors, friends, etc. 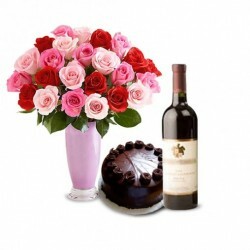 with our lovely cake and wine combos, flower and wine combos, among a gamut of others. 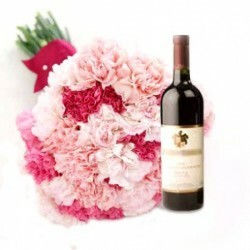 If you are wondering how to select the best wine combo online suiting your gifting intent, this is the best place to be. 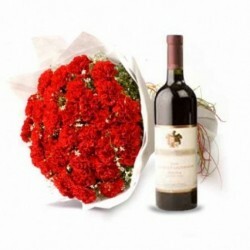 We provide you with perfectly blended wine combos online delivery all over India and abroad with standard, same day as well as midnight delivery. When looking for a grand surprise, plan for a midnight surprise by opting for our Midnight Delivery across India. Treat your special someone with our unique and alluring gifts and combos crafted to cater to every distinct need. Order with us and get a truly elevated experience with us. Products in this category have been rated 4.8 out of 5 based on 137 reviews.